Large size Headless JONA! 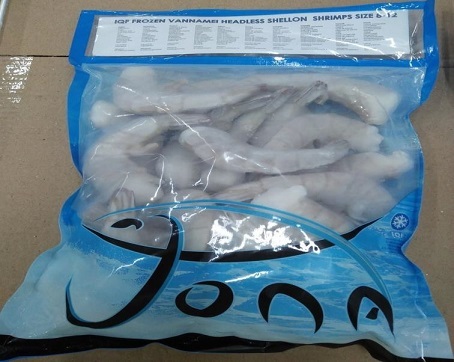 Vannamei Shrimps, a must to boost your December Sale(s)! 08/12 (av. 24 pc/bag) - 1 box € 9,95 - 10 box € 9,50 - palet (63 box) € 8,95 per kilo!! 13/15 (av. 33 pc/bag) - 1 box € 8,95 - 10 box € 8,50 - palet (63 box) € 7,95 per kilo!! 06/08 (av. 17 pc/bag) - 1 box € 12,95 - 10 box € 12,50 - palet (63 box) € 11,95 per kilo!! 08/12 (av. 23 pc/bag) - 1 box € 9,95 - 10 box € 9,50 - palet (63 box) € 8,95 per kilo!! 13/15 (av. 29 pc/bag) - 1 box € 8,95 - 10 box € 8,50 - palet (63 box) € 7,95 per kilo!! Click here for a detailed inspection report to convince yourself 100%!! !